Balancing on a log on the waters edge, I almost slipped and fell while photographing this brilliant colored Maple tree branch reaching out onto the foggy covered Elm Creek. 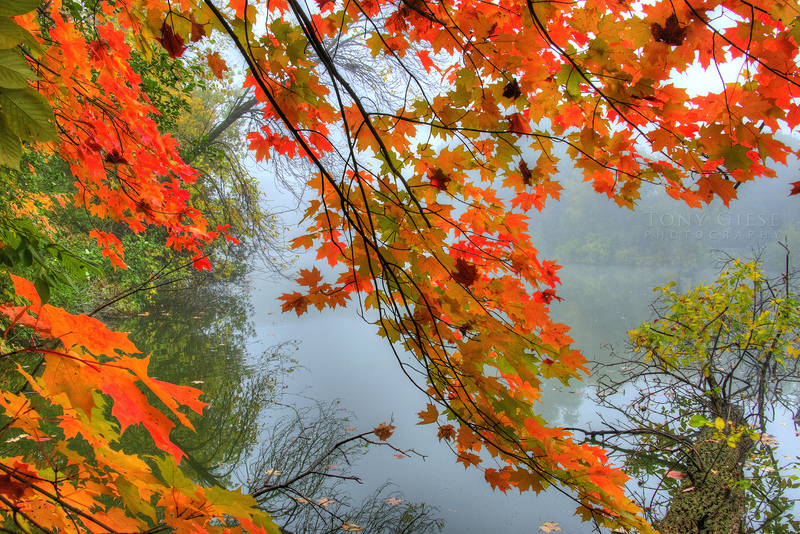 A brilliant colored maple tree branches extending out over a foggy Elm Creek. Elm Creek Park Preserve, Maple Grove, Minnesota. Beautiful MN fall colors.